You talked about Bernie's lake house bought for cash. From what I remember he bought the house during or just after the election. He was very quiet about Hillary and what she did to him. Could it be that Hillary paid for the house? I love the show! You can't beat his enthusiasum not to mention all the inside info he has! Devin Nunes slams the Mueller report for ignoring the real scandal. The Trump team warns the Obama era DOJ that Justice will be served. The Trump legal team responds saying this is a total victory for the President. Are US intelligence agencies dominated by liberals? Here are ten post-Mueller probe questions that could turn the table on the Russian “collusion” hoax. The media is humiliating themselves again on the “collusion” case. The DOJ is going to allow some lawmakers to see the Mueller report without redactions. Watch Beto stumble trying to defend his charity giving. Devin Nunes is looking at these three potential setups of the Trump team. Liberals are lying about the Trump tax cuts and many Americans are buying the lies. Here are the numbers on who is really paying taxes in America. The Mueller report will be used as ammunition by anti-Trump conspiracy theorists. Paul Sperry sums up the Mueller strategy. This Andy McCarthy piece is so good President Trump tweeted about it. Outrage after CBS shows an image with the words assassinate and Trump. The Julian Assange affidavit has been unsealed. The 2020 Trump presidential campaign is destroying the Democrats in fundraising. More profound hypocrisy from socialist Alexandria Ocasio-Cortez. Breaking: Devin Nunes sends criminal referrals to the Attorney General. Clueless Jim Comey embarrasses himself again. The arrest of Julian Assange could create a big problem for the collusion hoaxers. NY Democrats block a bill expanding tuition benefits for Gold Star Families after approving tuition benefits for illegal immigrants. Why are the Democrats objecting to illegal immigrants being moved to sanctuary cities? Maxine Waters gets humiliated while questioning bank executives about student loans. Of course the Obama administration spied on the Trump team. Don’t listen to the media nonsense. The spy sent to report on the Trump team courted at least 3 Trump officials. New poll: Americans love the Trump economy. Here’s a list of the huge tax hikes in Bernie Sanders’ “Medicare for all” plan. This 2011 piece debunks the myth that government-run healthcare will be more efficient. This Washington Examiner piece destroys Bernie Sanders “Medicare for all” plan. Discredited hack Adam Schiff is still promoting collusion conspiracy theories. Alexandria Ocasio-Cortez hit with another FEC complaint for subsidy scheme. More unethical leaks from Mueller’s witch-hunters. This John Solomon piece from late 2017 is worth revisiting. It covers the real collusion scandal between the Clintons and key Russians. There was a security incident at Mar-A-Lago with a Chinese national. Britain’s version of “Medicare for all” is a disaster. Is a gas tax hike coming? The Ukraine story I’ve been warning you about finally blows up. This Jeff Carlson piece addresses the many connections of Victor Pinchuk. The FISA court must be reformed. Now is the time. Captain America actor turns far-left. Radical leftist congresswoman is now under investigation. Pro-Life film doubles box office expectations despite social media censorship. The emergency at the border is becoming a catastrophe. President Trump’s approval jumps a remarkable 5 points after the Mueller report. Nellie Ohr’s testimony is now public. Here are some of the important takeaways. Nellie Ohr finally admits she wanted Hillary Clinton to win. Here’s a transcript of Nellie Ohr’s testimony to Congress. Pay particular attention to page 20 where she discusses the “movie script” scenario. Here are some of the craziest proposals in the Green New Deal which our of touch academics disingenuously defend. The Ukraine collusion scandal is heating up. Here’s a list of fake news stories put out by the now disgraced CNN. Chicago Police demand an investigation into the Jussie Smollett case. President Trump takes action on the EMP threat. Alexandria Ocasio-Cortez gets humiliated in the US Senate. Devastating new FBI texts reveal that the Obama White House was involved in the Russiagate scandal. This Rowan Scarborough piece debunks the dossier point by point. Jim Clapper has already implicated Barack Obama in the Russiagate scandal. Here’s the clip. Lindsey Graham rips into a reporter for an absurdly biased question. Desperate CNN reporters are still camped outside of Mueller’s office. John Solomon drops a bombshell regarding foreign collusion between the Clinton team and the Ukrainians. This McCain associate played a key role in advancing the dossier story. Daniel Greenfield’s new piece perfectly describes the implosion on the Left. Michael Barone’s piece lays out how the old political rules are new again. Pentagon identifies billions of funding for the new border wall. Why did Beto literally eat dirt after his loss to Ted Cruz? Public confidence in the Mueller probe collapses. Low income and middle class wages are rising, which debunks another silly liberal myth. Did gun control really work in Australia? The Democrat’s obsession with political correctness is going to eat them alive. Watch Nancy Pelosi struggle to define Beto’s accomplishments. Alexandria Ocasio-Cortez screws it up again. Christopher Steele used unverified Internet rumors to support the dossier? This ESPN story covers the back story of the relationship between the FBI and Christopher Steele. Clueless liberals are still clinging to the myth that the Papadopoulos / Downer meeting initiated the FBI investigation. It’s not true. In one of the worst incidents of media bias I’ve seen in a while, Reuters held a negative story about Beto O’Rourke until after his Senate race. The new immigration smuggling scheme that should concern everyone. The Remington lawsuit is another step in the wrong direction. In this episode I address the latest revelations that the FBI may be in possession of damaging information indicating that the Trump team was innocent and that it was being framed. I discuss the abomination of “justice” that’s slowly being revealed in the Clinton probe versus the Trump probe. Finally, I address how media bias works and how false stories are spread around. This is ridiculous, Nancy Pelosi supports lowering the voting age to 16. Peter Strzok didn’t consider Hillary a target during the email investigation? Chuck Ross’s incredible new piece in the Daily Caller exposes the role of this McCain staffer in the promotion of the dossier. The real scandal is the FBI and the DOJ misleading the FISA courts. Here’s John Solomon’s latest piece. Wait, what? The DOJ struck a deal blocking FBI access to Clinton Foundation emails. This hate group, that has ruthlessly targeted conservatives, has some big problems to deal with. Liberal New York is stalking former residents to collect taxes. Rep. Rashida Tlaib disingenuously claims “Islamophobia” is to blame for criticism of anti-Semite Rep. Ilhan Omar. Lisa Page’s testimony to Congress was leaked back in January. Lisa Page confirms that the DOJ gave Hillary a pass. Alexandria Ocasio-Cortez humiliated herself again on Capitol Hill. The college admissions scandal involved the photoshopping of faces onto athlete’s bodies. In this episode I address Tucker Carlson’s response to the liberal rage mob’s attacks on his show. I also address the suspicious texts involving “scrubbing” of FBI Sources after the Trump election. 11 key takeaways from the devastating Bruce Ohr testimony. This John Solomon piece from last year references suspicious texts about “scrubbing” informants. This Epoch Times piece proves that the FBI never terminated Steele as a source. President Trump to ask for 8.6 billion in wall funding for 2020 budget. New figures prove Trump right, there is a crisis at the border. Tucker Carlson refuses to bow down to the rage mob. Venezuelans are using sewage water during the blackout. Voting for illegal immigrants is the next step for the radical Democrats. CNN gets served with a massive lawsuit. Dark money is funding the anti-Trump conspiracy theory network. Trump reveals his proposed 2020 federal budget. Erik Prince acknowledges that he attended the Trump Tower meeting. So what! Paul Manafort has connections to Ukraine, but he was not a Russian agent. Joe Biden’s shady family connections are coming back to haunt him. Security expert is concerned about flying on April 6th because of GPS issues. The University of Wisconsin sticks it to the social justice warriors. Unbelievable! Michael Cohen met with Adam Schiff multiple times before his testimony. Conservative New Yorkers are looking to separate from liberal New York City. Lindsey Graham is looking into serious FISA abuse allegations. 20,000 jobs were added to the US economy in February. Judicial Watch unearths devastating emails between Bruce Ohr and Chris Steele. President Trump continues to remake the federal judiciary. In this episode I address the troubling connections between Joe Biden, John Kerry, their family members, and foreign governments and companies. I also address the recent comments by disgraced former CIA Director John Brennan regarding the Mueller probe. Finally, I address the growing trade deficit and why you shouldn’t panic over it. The weak Democrats are refusing to debate on Fox News. The trade deficit grew last year, but this is not a bad thing. Shady Adam Schiff appoints a known anti-Trump conspiracy theorist to investigate the President. Disgraced former CIA Director John Brennan speaks out about the witch-hunt. In this episode I address the outrageous shift in tactics in the continued witch-hunt against Trump, and why these tactics will never work. I also address the reasons socialism and big government spending will never work. Great news, new Attorney General William Barr will NOT recuse himself from the Russia probe. The Democrats are all-in on police-state tyranny. Christian baker Jack Phillips is 2 and 0 against the state of Colorado. Alexandria Ocasio-Cortez wonders why we can’t just print our way out of debt. Tax refunds are up in 2019 as another silly liberal talking point collapses. The absolutely brilliant Thomas Sowell returns. Alexandria Ocasio-Cortez denies breaking FEC laws. In this episode I address the persistent attacks on Trump supporters by increasingly aggressive, and sometimes violent, liberals, and how we should fight back. I also address the explosive new revelations that Alexandria Ocasio-Cortez’s Chief of Staff may have inappropriately used donor money. Finally, I address, and debunk, liberal misinformation about tax cuts. Parents fight back in Arizona after their kids are punished for wearing MAGA hats. My blow out with a liberal hack on Ingraham last night. Trump slams Democrats for their Cohen charade on Capitol Hill. Disgraced FBI official McCabe defends the use of the dossier. Hypocritical Alexandria Ocasio-Cortez has some serious staff troubles. Is Alexandria Ocasio-Cortez purposefully evading congressional disclose rules? New York City has a growing crime problem. In this episode I address the Democrats’ latest line of attack on the President, despite evidence that it’s all made up. I also address Alexandria Ocasio-Cortez’s latest screw-up on twitter. Liberal “fact-checkers” blow it, again! Did Alexandria Ocasio-Cortez illegally pay her boyfriend? Wealthy Americans are already paying the overwhelming majority of taxes. Alexandria Ocasio-Cortez tweets out another lie. Another silly liberal talking point evaporates as tax refund check amounts rise. Judge orders the release of the Christopher Steele deposition. The Democrats latest charges are total nonsense. This 2017 Lee Smith piece about the “movie script” dossier is worth your time. The hack media spends hours covering the nonsensical Cohen hearing while spending just minutes on the Hanoi Summit. On cue, the dreadful Washington Post rushes to the defense of the pro-abortion, infanticide Democrats. The economy is still humming as the fourth quarter growth numbers come in. Lindsey Graham issued a scathing statement about the timing of the Michael Cohen hearing. Michael Cohen admits that he has no evidence of collusion. Of course deficits and debt matter. PayPal is partnering with the Southern Poverty Law Center to blacklist conservatives. The Democrats, and a handful of Republicans, vote on Trump’s emergency declaration. The Green New Deal would cost an astonishing 94 trillion dollars. Bill Maher’s smug red state mockery couldn’t be more wrong. Democrats are asking Michael Cohen all the wrong questions. Democrats voted for infanticide yesterday. Absolutely disgusting. The fix was in for Hillary Clinton. When is the investigation going to start into John Brennan? The Green New Deal would cost every American household $65,000. 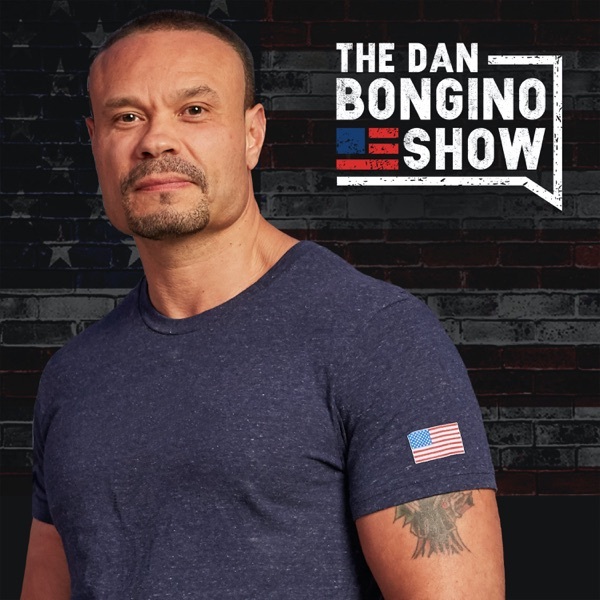 Copyright Dan Bongino All Rights Reserved.. In this episode I address the latest, radical, liberal nonsense proposal. This will blow your mind. I also address the one question to ask your liberal friends which will immediately shut them down. This one question turns socialists into capitalists. The media wants you to believe that Trump is especially vulnerable to a Primary challenge. Sleazy Adam Schiff has serious collusion issues. Copyright Dan Bongino. All Rights Reserved. Conrad Black’s devastating new piece makes the case that we are in the midst of the biggest constitutional crisis since the Civil War. Clueless Alexandria Ocasio-Cortez brags about spending more of your tax money on her office expenses. The top 5 arguments against climate change alarmism. Are “hate crimes” really on the rise? Some Democrats are increasingly worried about the radical shift in their party. You are making a big difference. The unnecessarily political Academy Awards program is struggling to maintain its audience. In this episode I address the constantly changing stories by the anti-Trump schemers and why they all vindicate President Trump. I also address the hypocritical campaign of Bernie Sanders, who remains a one-percenter. Finally, I address a massive error by the CBO that should be headline news. Bernie Sanders is a total fraud. He lives like the 1% he decries. Lunatic liberals demand that a pro-police flag be taken down in Connecticut. The CBO really blew it on Obamacare. Why should we trust them? Why can’t Andrew McCabe keep his story straight? In this episode I address the stunning new revelations by an FBI lawyer about the efforts to cover up this Obama/Clinton scandal. I also discuss the efforts by Andrew McCabe to fabricate an obstruction case against President Trump. Finally, I address bizarre comments by Alexandria Ocasio-Cortez about Amazon. Was there another dirty dossier used to attack the Trump team? Andrew McCabe continues to conjure up reasons for his witch-hunt investigations. This key player in the FBI believed Hillary Clinton should have been charged with a crime. Mike Pompeo shuts the door on the ISIS bride. Here’s the latest on the budget deal. This piece addresses the emergency declaration for the wall and the likely ramifications. Senator Graham demands that Andrew McCabe appears before the Senate to explain his role in the coup attempt against Trump. Alexandria Ocasio-Cortez is celebrating a major economic loss for New York. This Ukrainian official is knee-deep in the scheme to take down the Trump team. Big government is the problem, regardless of the political party involved. This McGurn piece addresses this point. Disgraced former FBI official Andrew McCabe, incredibly, admits to his role in a coup attempt. Republicans “pounce” by forcing the radical Democrats to vote on their own Bill. Snowflakes get triggered by “Build the Wall” jerseys at a basketball game. Another liberal talking point about voter ID is debunked. Americans still love capitalism. Here are three reasons why they aren't flocking to socialism. Don’t believe the liberal hype, wages are not stagnating under President Trump. The latest offer to avoid a government shutdown is not acceptable. Sheriffs are warning Congress that the Democrats’ immigration proposals could put criminals back on the streets. GOP Representative Devin Nunes says they are looking at criminal referrals for some of the Spygate players. Media “fact-checkers” are a joke. They’re nothing more than opinion writers masking themselves as non-partisan observers. The oversight into the FISA process is broken. This Yale Daily News opinion piece is the most disturbing thing you’ll read all day. In this episode I address the breaking news regarding Bob Mueller’s troubled history as the FBI Director and what it means for his witch hunt. I also address the radical shift in the Democrat Party and their quest for socialism here in the United States. Finally, I discuss the serious dilemma Democrats are facing in Virginia. Bob Mueller claims to be investigating Trump but it’s pretty obvious he’s covering up government abuses. Senator Grassley believes Bob Mueller will be releasing his report shortly. President Trump exposed the Democrats for what they really are. The line of succession in Virginia has the Democrats in a bind. Inside the RINO operation to primary President Trump. Alexandria Ocasio-Cortez plays the victim card, again, after being called on the facts. Corrupt Jim Comey says there’s “zero chance” Hillary will be prosecuted for her email scandal. Nancy Pelosi’s favorite Bible verse isn’t even in the Bible. Radical liberal Connecticut Democrat proposed an insane ammunition tax. The Pentagon is sending more troops to the border. Adam Schiff has been proven a liar; again. This leak to Buzzfeed is clearly an effort to deflect attention away from the Clinton’s connections to the Russians involved in the Trump Tower meeting. New York continues to tax their citizens at some of the highest rates in the country, and they are still losing tax revenue. The Washington Post treated Kavanaugh far differently than the Democrat Lt. Governor of Virginia. Big data has the potential to cause big problems for us in the future. I’m getting tired of the stupid “Republicans Pounce” narratives. The Axios “scoop” about how President Trump spends his time is a flop. Border town residents fear cartel retaliation for reporting immigration crimes. Andy McCarthy’s new piece is a stunning indictment of the Mueller witch hunt. It’s Trump versus everyone else. The Swamp returns. Bob Mueller’s team grabs Roger Stone and still produces no evidence of collusion. Nancy Pelosi admits she’s not serious about reopening the government. US jobless claims fall to a 49 year low. Some lawmakers believe only a crisis will end the government shutdown. Nancy Pelosi is boxed in a corner by Trump’s latest offer. The Democrat presidential candidates are trying to outdo each other on tax hike proposals. This piece addresses the Clinton campaign’s role in the framing of the Trump team. President Trump should plough ahead with his State of the Union plans, despite Nancy Pelosi’s efforts to obstruct. This top FBI lawyer believed Hillary Clinton should’ve been charged. Did the Russians really “hack” the DNC? Read this piece for troubling details. Discredited, conspiracy-theory-promoting congressman Adam Schiff wants to investigate another media hoax. Trump is playing hardball, and the Democrats are hoping for a “read my lips” moment. Devin Nunes dismisses the Buzzfeed story and sets the record straight. Alexandria Ocasio-Cortez has a knack for saying outrageous, indefensible things. The now infamous April, 2007 Wall Street Journal piece by Simpson. FISA shocker - The DOJ was warned that the dirty dossier was connected to Clinton. This stunning piece addresses the FBI’s troubled relationship with Chris Steele. Is President Trump setting a shutdown “trap” for the Democrats? Another caravan is forming and headed to the border. CNN’s Jim Acosta's massive facepalm at the border. This prominent Democrat “won’t oppose” non-citizens voting. These three simple charts show that walls work. Did The NY Times blow up the FBI’s stated premise for investigating the Trump team? This Chuck Ross piece from May, 2018 sheds some light on the disturbing efforts to use spies and the media to set up the Trump team. Jeff Carlson’s piece from May, 2018 describes the suspicious involvement of key UK intelligence figures in the spying scandal on the Trump team. Triggered, snowflake students protested a photo of a heroic police officer killed in the line of duty. Democrats on vacation as the government shutdown continues. In this episode I address how President Trump’s recent tactics have blindsided the Democrats and changed the “shutdown” game forever. I also discuss stunning new testimony that reveals the deep ties and connections former Obama administration officials, and people tied to Bob Mueller, had in the anti-Trump witch hunt. Stunning new information from Chuck Ross about efforts to interfere with our elections. Jeff Carlson’s new piece highlights the deep ties John Brennan, and others, had to the corrupt investigation into the Trump team. Yes, the Trump plan would help secure the border. Border Patrol Chief reveals startling border apprehension numbers. CNN’s Jim Acosta hilariously tweets the greatest self-own of all time. In this episode I address the media’s false attacks on President Trump after his Oval Office speech. I also address the real story behind the new charges levied against the Russian lawyer at the center of the “collusion” hoax. Finally, I debunk liberal talking points on taxes and I address a growing Democrat scandal involving voter suppression. Radical, far-left congresswoman refuses to properly apologize for her vicious attack on President Trump. Rod Rosenstein is headed out at DOJ. Are Democrats beginning to sour on the Mueller probe? Looks like the Democrats have some major explaining to do regarding election interference. High tax rates were a bad idea decades ago, they’re an even worse idea now. 5 key takeaways from the charges against the Russian lawyer working for the company hired by the Clinton team. This piece does a fine job of fact checking the President’s Oval Office address last night. Geraldo and I got into a heated debate about immigration last night on the Sean Hannity show. Was LTG Mike Flynn framed? Who was behind it? The liberal argument about the wealthy paying their “fair share” is nonsense. These numbers prove it. Hollywood hypocrites were flanked by armed security as many of them fight against your Right to own a firearm. A troubling new poll indicates that Democrats are now more positive about socialism than capitalism. This piece points out the uncomfortable irony of the Democrats’ vile attacks on President Trump. In this episode I address the disastrous decision by Mitt Romney to attack President Trump. I also address the stunning new revelations about the Obama administration’s efforts to destroy LTG Mike Flynn and the Trump team. President Trump is not backing down on the wall. Sell-out Mitt Romney gets slammed by his own niece for his disgusting attack on President Trump. Stunning new evidence emerges that LTG Mike Flynn was set up. Was the Steele dossier the basis for the framing of the Trump team? 4 spicy debates to monitor in the incoming congress. Are we physically training our soldiers the wrong way? CNN’s “journalist of the year” admits to faking news stories. The Steele dossier debunked point by point. Three years in and the Paris climate agreement is already failing. Facebook takes action against users for calling accused cop killer an illegal alien. Here’s an economic outlook report for 2019. The liberal media is now accusing Trump of lying about being at the White House. What’s behind this mystery case in the Mueller probe that is working its way through the courts? A left-wing billionaire assisted in an online disinformation campaign meant to influence an election. But you won’t hear much about it in the liberal media outlets. In this episode I address the surprise presidential trip to Iraq and the hysterical media response to it. I also discuss three troubling oddities in the Gen. Michael Flynn interview with the FBI. Finally, I address the national debt crisis and the government shutdown endgame. Three oddities in the FBI’s handling of the Gen. Michael Flynn interview. Disturbing video of suspected drug cartel hit men ambushing local police officers. In this episode I address the NeverTrump crowd’s newest attacks on Trump’s “character.” I address why this is a grossly misguided analysis of the Trump presidency thus far. President Trump has a shutdown message. Support for the border wall is peaking; Trump is right. Middle-class residents are moving out of New York City in droves. Good! Acting Attorney General Whitaker will not recuse himself from overseeing the Mueller witch hunt. In this episode I address President Trump’s most important fight: the border wall. This is the make-or-break moment for President Trump. I also address the stunning revelations about prominent Republicans' roles in the scheme to take down the Trump team. Finally, I address another privacy scandal brewing at Facebook and what it means for you. The judge in the Gen. Flynn case strikes again, this time ordering asylum seekers back to the United States. One-third of Americans say they would pay for the border wall themselves if Congress doesn’t fund it. Jim Comey humiliates himself again. A stunning admission by a Clinton ally that will blow up the entire case against President Trump. Here’s the Gen. Mike Flynn 302 for you to read. In this episode I ask the question, “Is Bob Mueller’s team getting worried about critical evidence?” Also, are key players lying about lying? I address the Obamacare ruling and what it means for your health care. Finally, I cover the recent developments in the net neutrality debate. Is Gen. Mike Flynn’s conviction going to be overturned? Nancy Pelosi is wondering why the media is focused on allegations against Trump. What? Net neutrality supporters were all wrong. This latest study debunks all of the hysteria over the repeal of net neutrality. This piece summarizes the troubling efforts to frame Gen. Mike Flynn. Did FBI investigators delete key messages that would have exposed the scheme to take down the Trump team? President Trump’s tax cuts are growing the economy, and tax revenue is surging. In this episode I address the emergence of three Clinton Foundation whistleblowers and what they may offer in congressional testimony. I also address the explosive new developments in the Gen. Mike Flynn case. Finally, I address the latest media false narratives about the economy and the Trump tax cuts. Stunning new developments in the persecution of Gen. Mike Flynn. What is the FBI hiding with regard to Gen. Mike Flynn? Excellent! President Trump has canceled the White House Christmas party for the media. In this episode I address the panic developing among the liberal and media class as their case against the president collapses. I also address a slick, strategic play by Jim Comey to change the narrative. Finally, I discuss the fractures developing in the liberal movement. Why is the FBI hiding the reasons behind its raid of a Clinton Foundation whistleblower’s residence? The costs of minimum wage hikes are passed on to consumers, according to a new study. Are the witch hunters going to try to indict President Trump? Wait, 63 percent of non-citizen households are on government welfare? In this episode I address the scandalous connections between the players in the Uranium One scandal and the recent actions by the Mueller witch-hunt team. This show ties it all together. Don’t miss it.